Big Fat Piggy Bank: .15 for Peanut Butter, YUM! .15 for Peanut Butter, YUM! 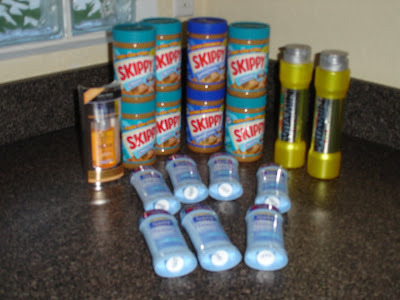 Buy 8 Skippy Peanut Butters $2 each (Use 8x .60 cents off from this weeks paper, or .55 off from Publix Raise Your Hand for Savings, Get $10.00 in RR) = Getting them for .15 a piece! 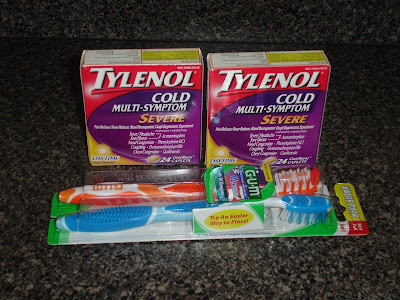 Buy 2 Tylenol Cold $4.99 each (Use $1 off Tylenol from Walgreens Pharmacy, Get $5 in RR) = $2.99 or about $1.50 each *I had already used my $2 IC but if you haven't you could use that one to make it .99 for both!